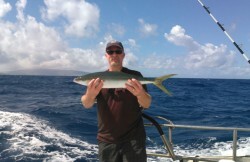 Danielle has been trying to get me out on Aloha Blue for a couple of years now, and I finally went on their Fishing excursion off Maui yesterday. OMG What fun!! 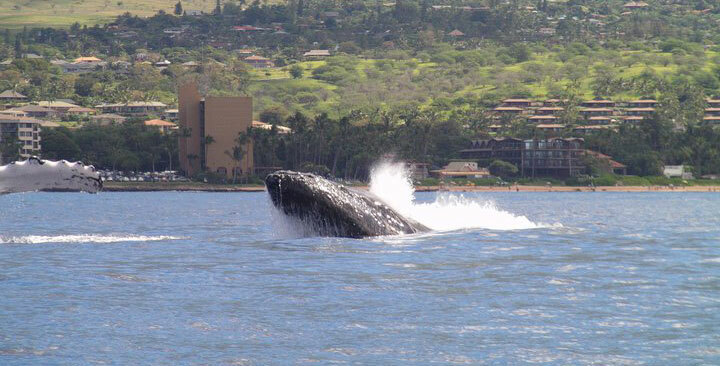 I’ve been out sport fishing here in Hawaii several times and even participated in a couple of the Wahine (women’s) Fishing Tournaments. 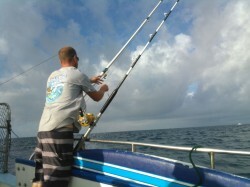 We always have fun, especially knowing you have the chance of hooking up to a big Tuna or Marlin! 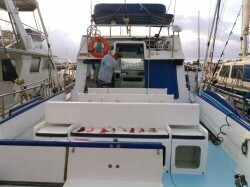 The best part of a fishing charter that offers bottom fishing as well as sport fishing is that you get to not only experience the thrill of the hunt for Big Game fish, you actually get to handle the pole and put your own line into the water, and reel it back in. *And most important…. you get to keep your Fish! I have to say, there was a nice lady onboard, Val, who had no intention of fishing. 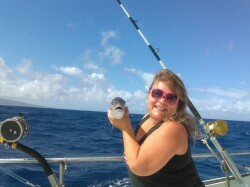 Val was going along with her husband for the ride and the Whale Watching, however she paid for the fishing vs rider price…well as I was fishing she decided to let her husband bait her line and go a ahead and fish off the side of the boat with the rest of us. 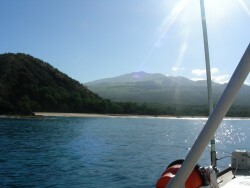 I also liked that the Captain moved our fishing vessel over a couple of different reefs. They have the latest in ‘Fish Finders’… also, not having ever bottom fished here in Hawaii before, the ‘Fishing 101′ class was very helpful. I find things are not as worrisome, if I can see it being done and get a chance to try it myself. Bottom fishing is a fun, family friendly excursion to do here on Maui and 4 hour fishing charters mean you are back by Noon and still have the rest of the day to play. 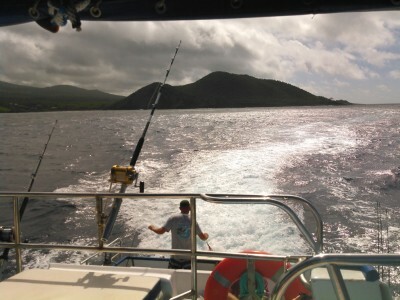 Kids and adults of all ages have a lot of fun fishing off the boat, and Sport Fishing for Big Game fish on the way to and from the Bottom Fishing grounds. 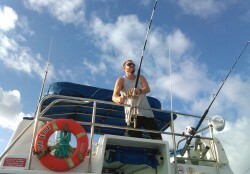 While we did not get a Fish while trolling this time, our line went off and we had a Mahi strike our line! When the boat catches a Fish, the crew and Fishermen split the catch. When you catch a Bottom Fish on your pole, you get to keep all your fish! The boat has coolers with ice for beer, otherwise the drinks were included in the price. I would recommend bringing a snack for the ride back, and maybe the ride out as well if you skipped breakfast. *To see the background slide show, click the bottom right Icon if you are on a “desktop computer”.